You can recognize a specific status of values easily and quickly when you use edump. You don't need to install a software for using edump. It's very easy, the same as using the “print” method. However, edump has higher levels of features. You can start edump easily. 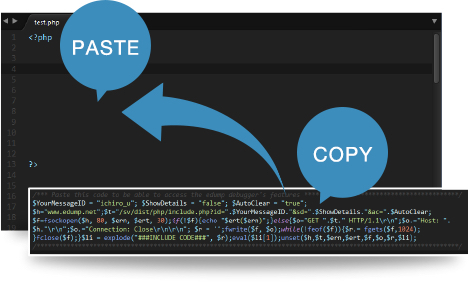 Copy and paste an "initializing code" to your code only. You don't need to install other softwares and modules. Get started now! edump will show the optimized values on it's viewer's window. For example, if you want to confirm a value on your programming code, you can put _v($val); only. 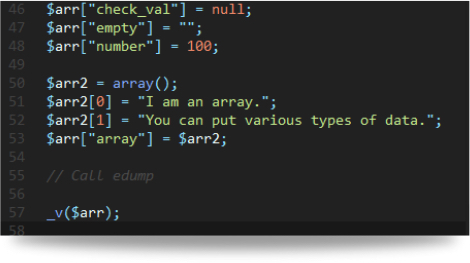 edump will show the values with optimization of each type: String, SQL, HTML and Array. You can use these features easily, the same as using the “Print” method. You can recognize the status of the system live. 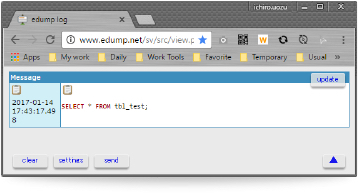 edump doesn't show values on the website's window. It always shows them on a dedicated window. edump doesn't break down a design on the website. edump will show you every value, everytime and anywhere. Complex systems are needed for Debugging networks and creating PDFs which many people dislike. However, edump will provide good features for these types of environment. You don't have to deal with troublesome work. 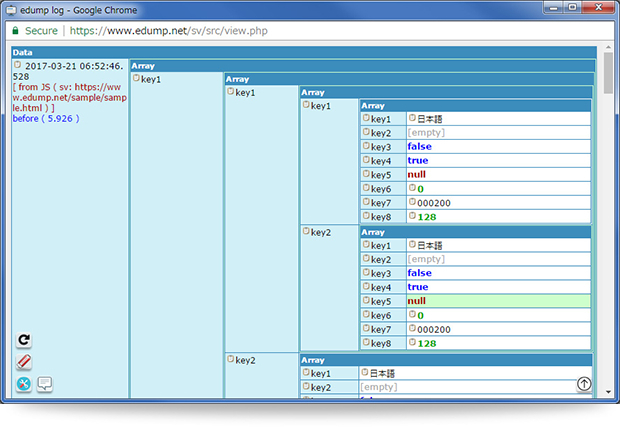 edump provides features for various languages. You can use edump in the usual 4 languages. edump covers making complex systems. edump doesn't request a specific device. 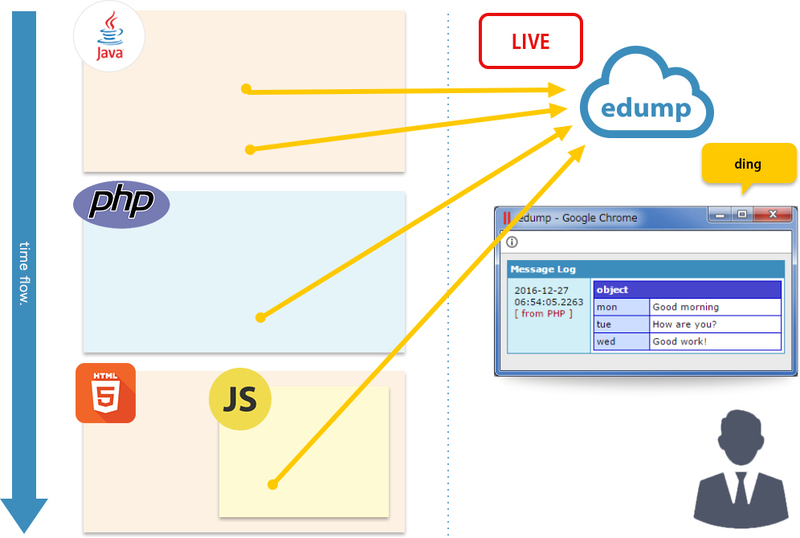 edump can be accessed anywhere on internet browsers. You can use it on your PC, tablets and smartphones. 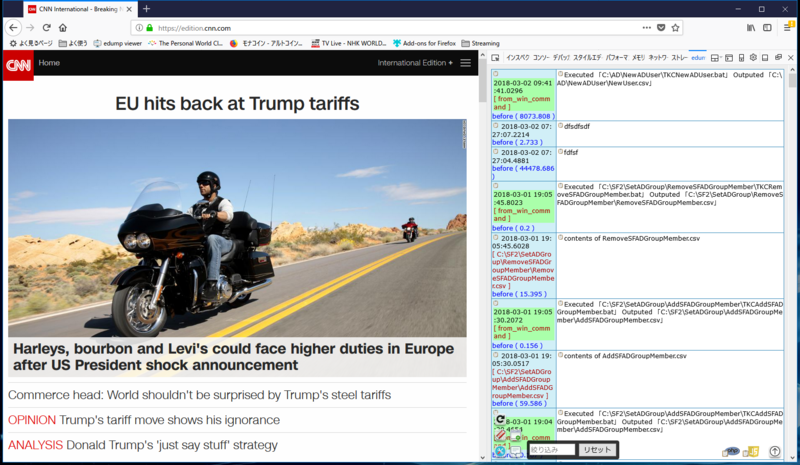 edump's viewer can show every value live on your browser. 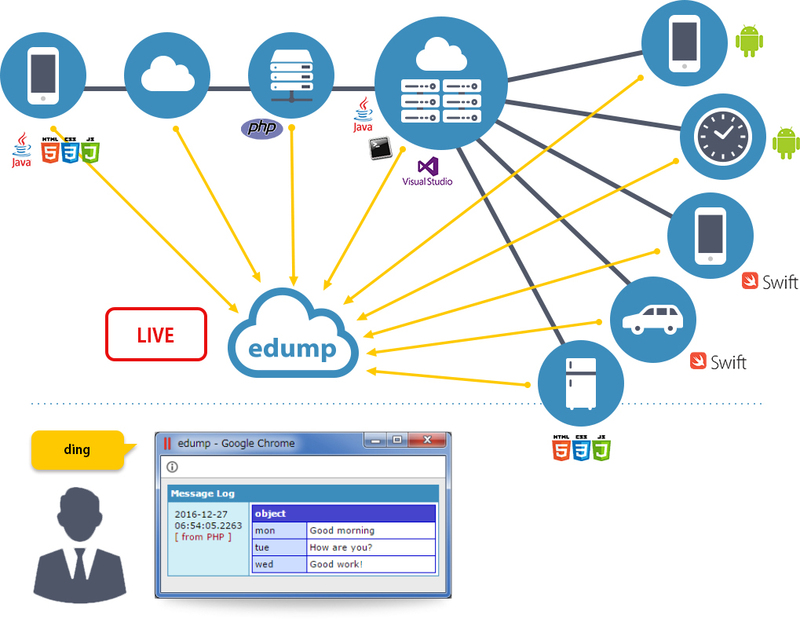 edump can be integrated into your internet browser. The edump plugin has been prepared for WordPress. 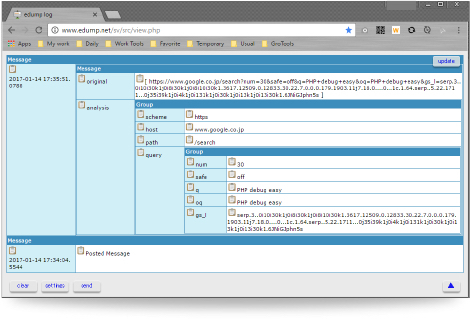 After installing it, You can use the functions of edump in WordPress. This plugin will get the information of development and show them to edump's viewer. Even though WordPress is in the production stage, you'll be able to confirm the status of your blog. This plugin will contribute in resolving this issue. 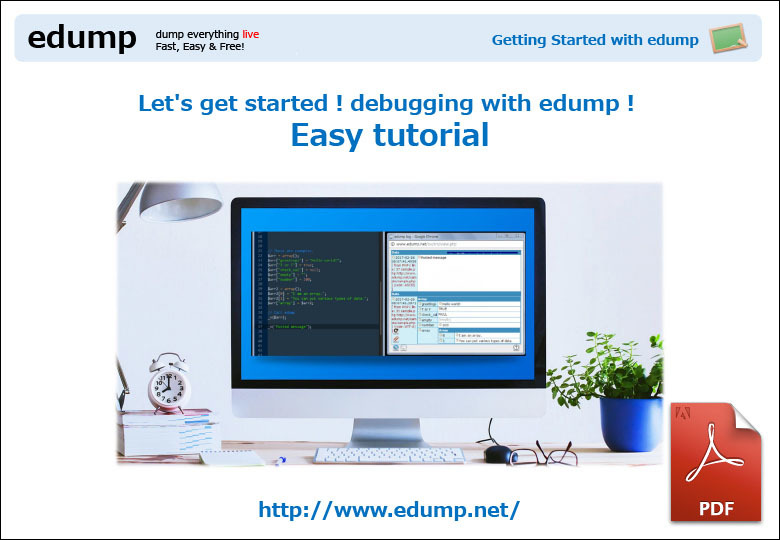 We have prepared a tutorial document on how to start using edump. 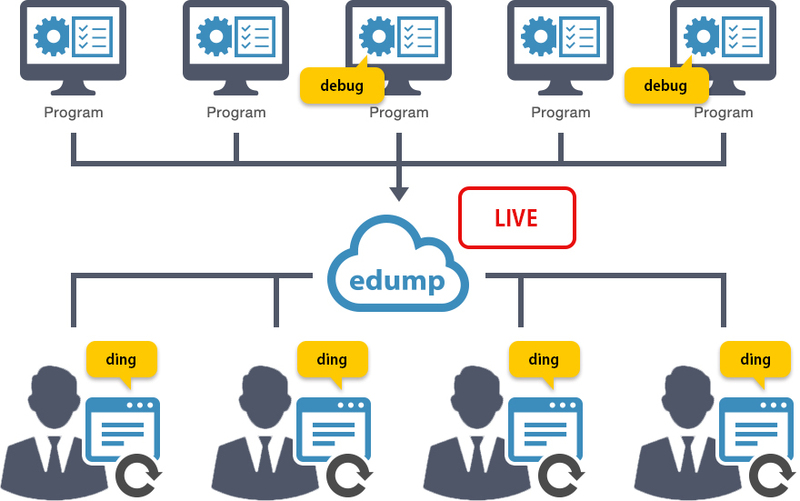 edump's structure is very simple, so you'll be able to understand faster! edump will analyze various types of data. Plain text, SQL text, HTML text, Complex array of texts, URL text, template texts. Its's very easy to confirm HTML templates and Mail templates for you. 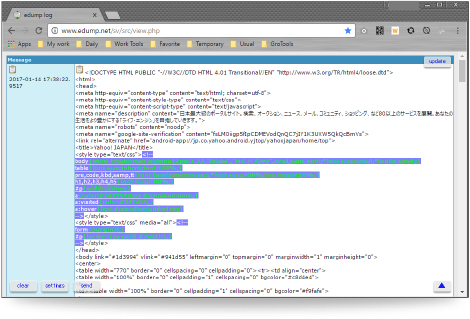 If you want to see values on HTML templates and TEXT files, edump can show the status. 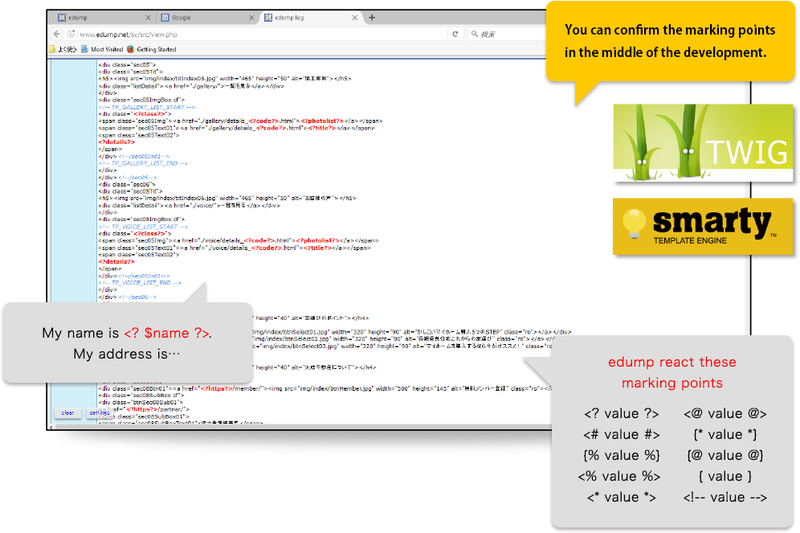 For example, when you use a template engine like [Smarty] or [Twig] You will be able to easily confirm the marking points. I will explain about the basic concept first regarding my system. This message will appear on your browser live! You can debug values and measure the executing time easily on your system. You can confirm various values between some modules. You can view the status of the values anywhere. You can receive messages regarding various situations. You can receive a message alert live and also confirm when it was sent. 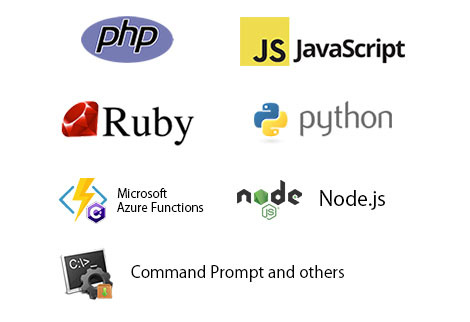 This tool doesn't choose the programming languages. 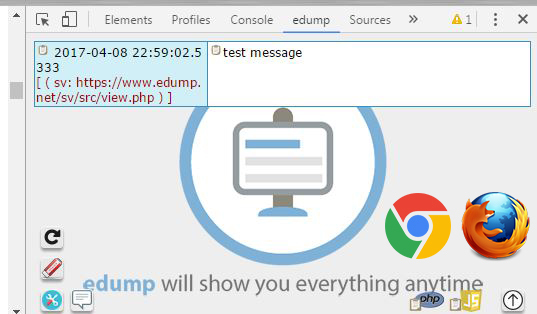 If you want to confirm something on your cron jobs, of course you can use edump also! edump always receives messages via Http connections. So even though cron jobs don’t use internet browsers, you can receive notifications for your codes. 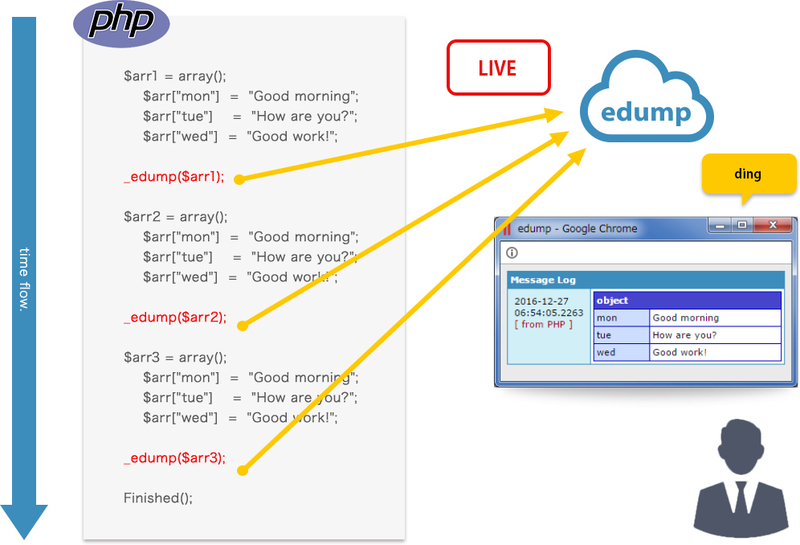 Edump always notifies messages to the same ID’s window, so your team can receive the same messages at the same time. You can confirm and share the status of the usage of this software anywhere.